PM, Ministers, and political parties praise US President for calling for recognition of Israel's sovereignty on the Golan Heights. Many Israeli leaders praised US President Donald Trump for calling for the US to recognize Israel's sovereignty over the Golan Heights Thursday. "At a time when Iran seeks to use Syria as a platform to destroy Israel, President Trump boldly recognizes Israeli sovereignty over the Golan Heights," Netanyahu wrote on his Twitter account. "Thank you President Trump!" Knesset Speaker Yuli Edelstein said, "The Jews had light and joy and happiness and preciousness. 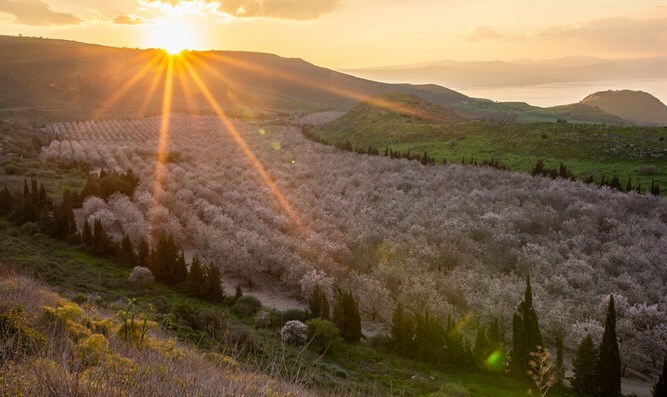 Thirty-eight years after the Knesset enacted the law to apply Israeli sovereignty over the Golan, and after great efforts in the international arena, the time has come for American recognition. President Trump - thank you." Acting Foreign Minister Ysrael Katz added, "I welcome President Trump's announcement of the anticipated recognition by the United States of Israel's sovereignty over the Golan, almost 40 years after the Begin government made the historic decision." "American recognition of Israeli sovereignty will strengthen Israel's security and its status in the region, constitute a response to the Iranian aggression from Syria, and send a clear message to Assad, who gives it his patronage," said Minister Katz. Science Minister Ophir Akunis said that "President Trump proves once again that in his sympathetic attitude towards Israel, he does not make do with just talking, but takes action." "His historic announcement put an end to Syria's false claim to the Golan Heights, which has been a Jewish territory from the dawn of history, and further proof of the strength of relations between Israel and the United States, which are at the height of all times," Minister Akunis said. The United Right responded with joy to the news, but noted its other implications. "We congratulate President Trump on the expected historical recognition of the sovereignty of the State of Israel on the Golan Heights. Nevertheless, we repeat that this statement should not blind us to the [dangers] of Trump's 'Deal of the Century."